The dog days of summer are upon us, and the yayQuerians have returned from the shadows of the unknownternet to cool you down with your regularly erratically scheduled dose of frontend development developments. The teams's back at full strength (no offense, Ralph!!) to talk about PDFs getting a whole lot more P, the battle over lint spreading from the laundry room, and much more! Follow us at @yayQuery Become a Facebook. Episode 22 | Which Square Can I Take? With Paul deep in the bowels of an evil deadline, team Yay enlists Ralph Holzmann to pinch hit, and unlike Mighty Casey, he belts one out of the park! We'll take you on a tour of your various options for keeping plates at a rollicking boil, JS-related spring travel, and using MEAT as a navigation tool. And toward the end, when Rebecca's video goes Black, we take the only logical alternative! Ya wut? It's 2011. Time for yayQuery to take you back to front-end heaven. We got the bat, that's Julian Aubourg - he rewrote AJAX, sent the old way to the morgue. 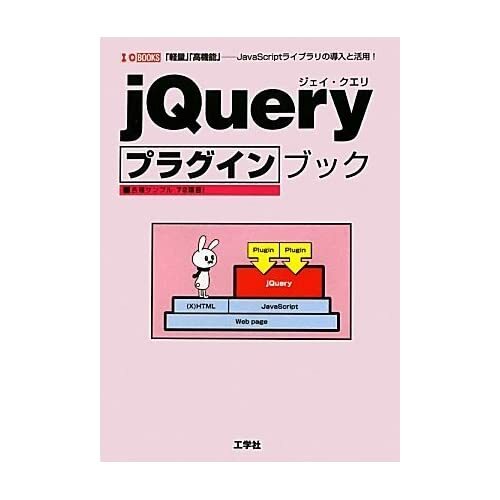 Yea we back, jQuery 1.5, new release with Deferreds is the dope jive. Want the skinny? Peep our latest episode - if you wanna keep them antipatterns out ya code! Hey, what's good? We're the yayQuery podcast, it's our first birthday, and we're back to wrap you in the familiar embrace of jQuery news, conference haps, and T-Swift pics. Just like the Beatles, we just want to hold your hand … and guide you through jQuery's new mobile framework, the 1.4.3 release, and brand new bug tracker. With some of your favourite segments, and a bit of practical kitchen advice, not watching yayQuery could be the scariest thing to befall you this Halloween! Refreshed from relaxing, post-TXJS hiatus, the Yay Queries return with a trio of ultra-hot HTML5 sites, with varying levels of usefulness. We'll throw down the book on on jQuery (Fundamentals) and get in touch with jqTouch ExtJS Sencha! And when the team returns to dreamland with John Resig, who knows what you'll hear, and what will be drowned out by the drone of cheap plastic horns!? Despite Alex's vivid account of his adventures in the world of RequireJS, Adam, exhausted from many late nights of dancing ’till dawn, takes a snooze right in the middle of a perfectly good episode of yayQuery. In his dream, a mysterious guest named John Resig reveals information about the future of jQuery and mobile browsers. Episode 17 | SPRING BREAK! WOOOO!! After back-to-back weekends on opposite ends of the country, the yayQueriers recount their adventures fulfilling Manifest Destiny. The team trekked from JSConf.US in D.C. to the jQuery Conference in Mountain View on what was more a trail of beers than a trail of tears. With their wagons full of knowledge, they've decamped to share their provisions with you! So if you missed either one of these conferences, get your listenin' ears on! Plus: A cameo by the Unicorn of Technical Difficulties. Spring has arrived, and the air is thick with the smell of buzzwords. So if you've been begging for CSS3, consider your prayers answered. If you didn't think HTML5 Video was winnable until it was skinnable, rejoice! Templating more your thing? Shwing! Plus, jQuery's history will dance before your very eyes in a world premiere music video event that packs a healthy dose of 'corn! If I were you, I would have stopped reading this and clicked play a long time ago. Springtime is in the air, bringing with it the sweet aroma of renewal … and conferences. Mere moments before departing Austin, your partners in Yay checked in on RealLifeSquare to bring you their exclusive SXSWi roundup — but who knows what else they'll MiX in?! After a layoff which shall forever be shrouded in mystery, we are back, HARD! With hot docs links and piping fresh sauce tools, you'll be hungry for front-end goodness, and we're delivering it in 30 minutes -- or your money back! There may even be a plugin for dessert. While our hiatus may have left you teary, it's time to snack on this yayQuery! When is a forum signature more than just a forum signature? When it's a ticket to an enchanted world of magic, wonderment, and jQuery plugins! Join along as we share all sorts of new playthings and playmates, discovered after some opportunistic link clicking. And with the 1.4 point releases starting to flow, we're here to guide you through the nitty-gritty. Watch now and find out why yayQuery is So Just Cloud! The 12 days of Christmas may be gone and forgotten, but we've got an extra-special surprise gift for you during these holy 14 Days of jQuery 1.4: an interview with blogger, Briton, and jQuery all-star James Padolsey! We pick the lint out of James' bellybutton James's brain about jQuery Lint, debate anti-patterns, and take tea with the Queen! With so much crammed into one episode, you'll want to be sure to ring all your mates to come round for yayQuery! It's a real cracker, guv! Episode 8, 9 & 10 | Hapy Birthday jQuery! Let the celeb-YAY-tion commence! It's jQuery's birthday, but you'll be the one unwrapping the gift of 1.4! We'll get you up to speed on all of the last-minute goodies, and bring you along on a mini-tour of the upcoming jQuery UI 1.8 release. With forays into CSS, ECMA 5, and outright falsehoods, it's sure to be the adventure of a lifetime! If you've missed us the last two weeks, you definitely won't want to miss yayQuery! with yayQuery - the only development podcast that may also be a children's TV show. We're playing naughty this week with the debut of nayQuery! Peter Higgins, Dojo Project Lead, joins us for a spirited discussion of the dark side of jQuery. We'll also get you up to speed on what's going on in the 1.4 alphas and explain why $ is special (because you can buy things with it). After all, Santa's got a lot of coal and he needs to give it to someone! The team is back at full strength to bring you a complete roundup of the hot, fresh jQuery 1.4 alpha in this bonus-sized installment! From hiddenhancements to just plain awesome ones, we'll let you know exactly what to expect from the upcoming release. Of course, we've got the latest haps from the world of front-end dev, so add a little Yay to your day, today! In a very special thanksgiving episode of yayQuery the gang talks on the hottest conference on the block and the best new seating themed storage implementation. Eat your leftover turkey and pumpkin pie while you get learned by special guest Mike Taylor on everybody's favorite HTML5 input information. There's a plugin that we think is the best for this week along with your favorite segments, like PIJAPFPOTW. On top of all that, we made you a new plugin! Hapy Hapy Thanksgiving! Episode 2 | Third Time's a Charm! In this episode of yayQuery the team discusses Paul's recent adventures in the land of jQuery documentation. We know there's a Doc Brown 1.21 Jiggawatts joke somewhere in there, but we couldn't find it. Other topics include JSON, Compression & Minification, Plugins of the Week, Hidden Features inside of jQuery, and even a picture of Adam in his best Dark Helmet costume. Also get some coupon codes for some sweet discounts off some sweet conferences. Oh yeah. Jonathan Neal. In this episode of yayQuery, the crew discusses Google's terrible project naming habits, Paul gives an anti-pattern that you won't want to miss, and no episode is ever complete without a little ditty from Jonathan Neal. 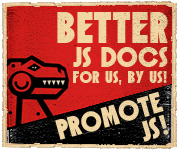 Other topics include the jQuery Peepcode screencasts, jsconf.eu, and bacon. We are also proud to announce that we have two new sponsors: TinyCDN and devot:ee — so check em' out! In this episode of yayQuery, the team introduces themselves. Paul Irish, Rebecca Murphey, Adam J. Sontag, and Alex Sexton each offer their insight on a variety of topics. Paul Irish continues his anti-pattern knowledge-giving that he started at jQuery Con '09 and then goes on to publicly show his support for the end of Thickbox's life. Mobile front-end development is discussed in some detail, however any information passed on is nullified by the dancing at the end of the video. Special thanks to Andrée Hansson for link farming for us. <3z. yayQuery image assets: yayQueryLogo.ai, yayQueryLogo.png, yayQueryLogoSquare.png. All video, audio, images, songs and happiness is licensed under Creative Commons Attribution 3.0. Songs are copyright to Jonathan Neal, illustrations to Cohitre.